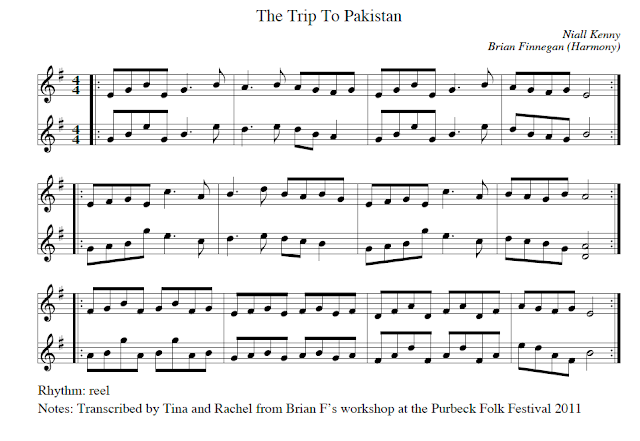 I was at the Purbeck Folk Festival this last weekend and I attended Brian Finnegan's workshop. He taught us the Trip to Pakistan together with a harmony line he made up on the spot. Here is the transcription that Tina and Rachel did. Any mistakes are in my ABCing their transcription. I do not understand the source code. Where to find an executable ? :-).